Found 16 blog entries for December 2017. Friday, December 29th, 2017 at 1:00pm. Thursday, December 28th, 2017 at 4:04pm. Go back in time thirty years ago to see what lay between the north of Manhattan and the New York state capital, Albany. To many, the answer was likely “not much” if you were traveling through this area known as the Hudson Valley. Once home to a number of boarded up homes and businesses, today the area is acclaimed for individuals who are reimagining the area: artists. Friday, December 22nd, 2017 at 11:00am. The 25,000-square-foot home has its own underground shooting range. Montreal has seen a notable increase in the number of foreign buyers this year, suggesting investors from outside Canada may be shifting their focus to Quebec's largest city after crackdowns in Toronto and Vancouver. Real estate offices used to be a necessity. Why? Why are foreigners coming to Montreal in such large numbers? Thursday, December 21st, 2017 at 1:44pm. Thursday, December 21st, 2017 at 9:00am. While New York City is a place for forward-thinking innovation, the city never loses sight of its history and roots. With a pre-war open space layout, the newly renovated 417 Park Avenue embodies the New York lifestyle, seamlessly bringing together the best of old and new. One step off of the elevator and you are immediately welcomed by the light-filled open space of the great room, which offers a dining room that flawlessly transitions to the formal living room. Across from the living room, crystal door panels separate the den from the dining room. This arrangement is perfect for all occasions, from entertaining family and guests to hosting small, intimate dinners. Tuesday, December 19th, 2017 at 6:16am. Friday, December 15th, 2017 at 4:00pm. A list of five things every agent and broker needs to know about selling a house with bitcoin. Minneapolis office offers clients and their guests an immersive experience. Wayne Gretzky has flipped another home at the Sherwood Country Club in Thousands Oaks, California—this one for $3.4 million. Friday, December 15th, 2017 at 3:00pm. Bitcoin has taken the world by storm. Venturing further into the spotlight for its exponential popularity and sharp rises and falls, this cryptocurrency presents an undeniably fresh way of conducting all types of transactions—which is becoming more and more relevant to the real estate industry. Using bitcoin to complete real estate transactions, certain buyers and sellers may find ease in hard-to-maneuver areas during the transaction process. Thursday, December 14th, 2017 at 9:00am. Tuesday, December 12th, 2017 at 11:10am. Notre visibilité sur les médias sociaux a littéralement explosé avec plus de 31,000 membres sur notre page Facebook Engel & Völkers Montréal / Québec et avec 660 plus 1428 « suiveurs » sur Instagram combinée à la présence de l’agence dans des journaux, revues d’immobilier de luxe ainsi que des reportages à la télé. 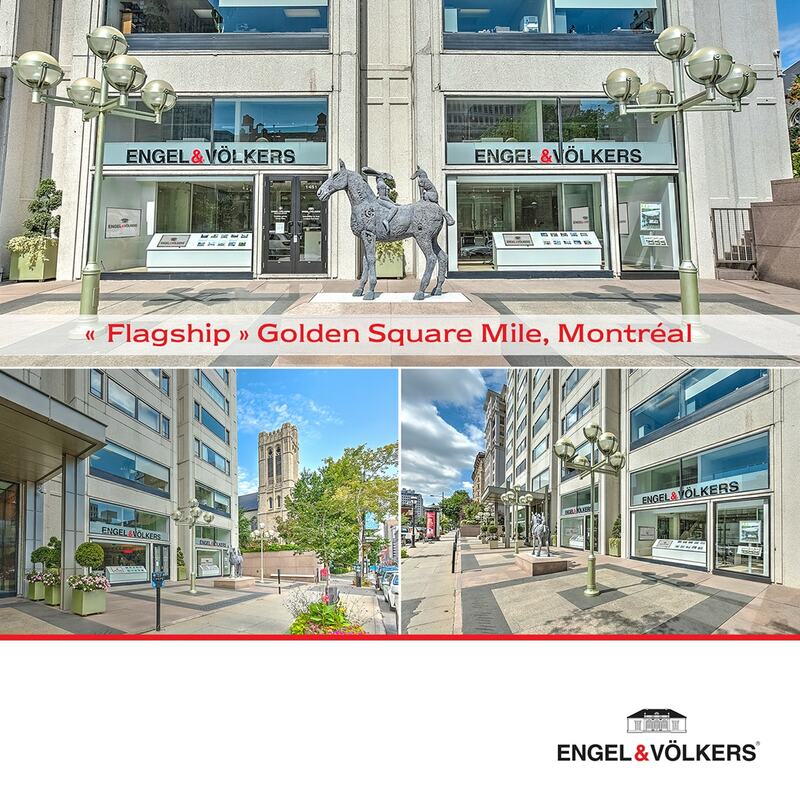 Le moment le plus marquant de 2017 a définitivement été le lancement et l’ouverture de la 5e boutique de Engel & Völkers Montréal / Québec, notre ambassade immobilière de 6000 pi.ca. sur 2 étages à l’épicentre de la valeur immobilière au Québec, voisin du Musée des Beaux-Arts dans le Golden Square Mile.